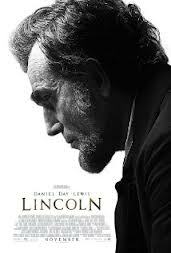 'Lincoln' can be summed up in one word, succinct. Well, except that it's not exactly brief. But what it does do is sums up everything clearly what non Americans know, or think we know, of Lincoln as a person and what he did for the history books. It then spends 2 1/2 hours putting those ideas under the focused attention of a microscope, and even though it only covered a few months of his life, you come out thinking you know him so very well. Daniel Day Lewis was amazing, and could possibly beat the guy from 'Life Of Pi' for the top acting award at the Oscars next year, but other than that, and though I really liked it, I doubt it will be universally liked, as it really is a long political courtroom drama from beginning to end, which isn't most people's cup of tea.